We are a diverse group of early career academics responding to the student campaign for greater pluralism in economics. Most universities only teach neoclassical economics. At Reteaching institutions you will get a pluralist economics education. Are you teaching at a UK institution? Reteaching Economics is holding a one day joint workshop on economic pluralism, teaching and research. The9th IIPPE Annual Conference in Political Economy took place from 12-14th September 2018 at Juraj Dobrila University of Pula, Croatia. 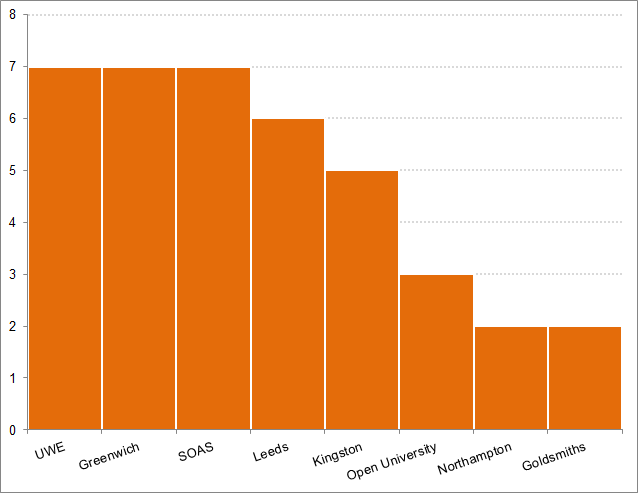 Keeping up with recent years’ record, Reteachers from UWE Economics were well represented. The conference was organised around the overarching theme of ‘The State of Capitalism and the State of Political Economy’ and over 300 scholars and activists from across the world discussed their political economy research, touching upon various facets of capitalist transformations and pushing the frontiers of political economy. John Broome's "The Microeconomics of Capitalism"
Recently, Prof. John Broome, has kindly put his textbook 'The Microeconomics of Capitalism' (1983) online for free use, after getting back the copyright from the publisher. Difficult to obtain as a hardcopy nowadays, this free online book is a valuable addition to teaching material for microeconomics. The lucidly written textbook is couched around the analysis of theoretical economies with constant returns to scale, with the unit of analysis the class, and cost-based relative price determination. It is closest to Sraffa's exposition (acknowledged p. 219), but borrows from and synthesizes a variety of other sources. The explanations are well developed verbally and rely only on algebra, simple matrix algebra and occasionally differential calculus. After a brief preface and introduction that set out the vision and modelling approach respectively, chapter 2 introduces the one sector corn model, chapter 3 expands to multiple sectors including a discussion of capital aggregation. Chapter 4 introduces multiple techniques of production. It usefully derives also neoclassical marginal product-based pricing from its analysis of techniques of production and switch points, which I find particularly helpful for recognizing the common conceptual foundations of different production theories. The chapter further demonstrates the re-switching and reverse capital-deepening issues of the Cambridge capital controversies. Chapter 5 introduces a land-type input, and chapter 6 discusses 'further developments', namely joint production and non-constant returns to scale from indivisibilities. In its intermediate yet sophisticated approach, the book contributes a carefully crafted resource for instructors and students to learn about cost-based microeconomic theories of prices, distribution and growth. In this talk, Dr. Payson examines the incentive system that economics professors face in their work, and how that incentive system needs to improve in order to ensure the profession’s success overall, including its consideration and adoption of pluralism. Success in this regard refers to the contribution of discourse that is valuable to society, by advancing useful knowledge and providing the background for effective policies. His talk focuses on the differences between the scientific pursuit of knowledge and the competitive “publication game” that academic economists are compelled to play in order to advance their careers. The talk is based on Payson’s new book: How Economics Professors Can Stop Failing Us. 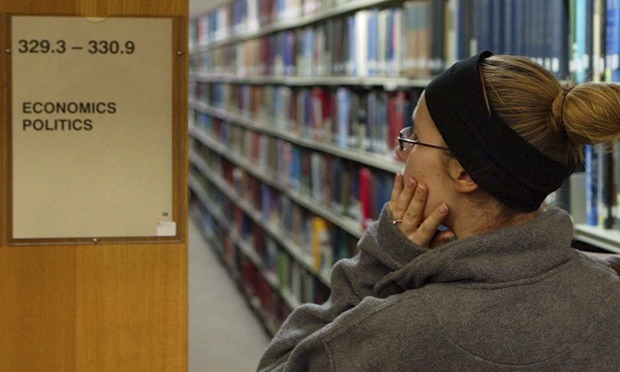 Economics, both as an academic discipline and a profession, has attracted criticism of late. From the Queen asking LSE academics why they missed the Global Financial Crisis to the strident yet inaccurate predictions of post-referendum recession, economics and economists have come under attack from across the political spectrum. Critics of austerity who regard mainstream macroeconomics as neoliberal apologism have been joined by libertarian Brexiteers who appear to regard any recourse to logic or evidence as a breach of protocol. Criticism that focuses narrowly on predictive failures is at least partly misdirected. 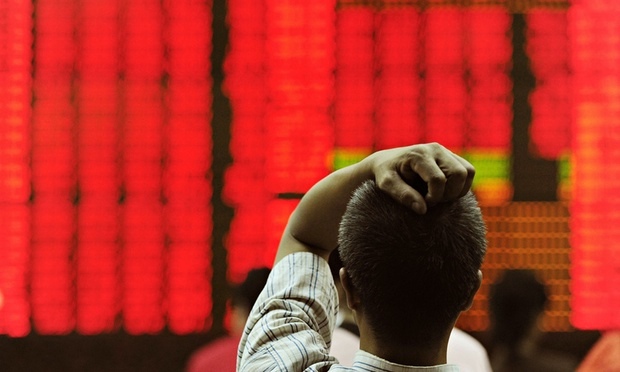 Economic forecasting is difficult, imprecise and unreliable. But economists must take some of the blame for anger over predictive failures – official institutions and research organisations churn out detailed forecasts which purport to look years into the future with an apparent accuracy of multiple decimal places. The Treasury's claim that Brexit would cost £4300 per household by 2030 was a particularly egregious example. Excusing this behaviour on the basis that a forecast is nothing more than a probability distribution over a series rather misses the point. The standard models in use before the 2008 crisis not only failed to see it coming, but assumed it couldn’t happen. In summary, economists should be more circumspect about their powers of clairvoyance. The growing movement for pluralism in economics has inspired a group of early-career academics in the UK to form a new network, Reteaching Economics (http://reteacheconomics.org/), committed to pluralism in the teaching of economics. The group aims to effect change in the economics curriculum through a combination of scholarly and institutional activity and activism. The group supports the UK student campaign for the introduction of theoretical and methodological pluralism in the teaching of economics, spearheaded by groups such as Rethinking Economics (www.rethinkeconomics.org/) and the Post-Crash Economics Society (www.post-crasheconomics.com/). The group currently has thirty-nine members drawn from academic institutions across the UK. It is open to all UK early-career academics who support the aims of the network. Reteaching Economics launched with a private screening of the forthcoming Terry Jones film Boom Bust Boom followed by a Q&A session with Reteaching Economics and friends: "Should we adapt economics to human nature?" Tony Yates has written a critical rejoinder to Aditya Chakrabortty’s Radio 4 documentary on student demands for changes to university teaching of economics. Yates’ contribution is welcome as a rare example of a mainstream economist publicly engaging with the issues raised by dissatisfied students. For too long, the response of the mainstream has been to ignore criticism. Yates’ willingness to enter into dialogue – even if motivated by unhappiness with the content of the programme – is encouraging. Further, it clarifies the view of (some) mainstream economists on the teaching debate. Yates’ first complaint is that the programme is an opinion piece rather than a report in which equal space is given to each side. It is true that the bulk of the programme focused on the grievances raised by the student movement – this was after all the subject of the piece – and provided only brief slots for dissenting voices. Criticising the programme on this basis ignores the bigger picture of total dominance by mainstream economics – not only in academia but also in the media and public debate. The number of critical economists who appear regularly on television and radio can be counted on one hand. Chakrabortty’s programme and the student movement that pushed it onto the agenda are welcome, yet remain a drop in the ocean. At universities from Glasgow to Kolkata, economics students are fighting their tutors over how to teach the subject in the wake of the crash. The Guardian's senior economics commentator, Aditya Chakrabortty, reports from the frontline of this most unusual and important academic war. The banking crash plunged economies around the world into crisis - but it also created questions for economics itself. Even the Queen asked why hardly any economists saw the meltdown coming. Yet economics graduates still roll out of exam halls and off to government departments or the City with much the same toolkit that, just five years ago, produced a massive crash. We are a diverse group of early career academics who are responding to the student campaign for greater pluralism in economics. To develop our response, we are setting up an open network and invite early career academics to join us by adding their details here. Our next meeting will be in London on Saturday 10th January 2015. We are interested in collaborating with you and other student, research and practitioner groups and look forward to hearing from you. 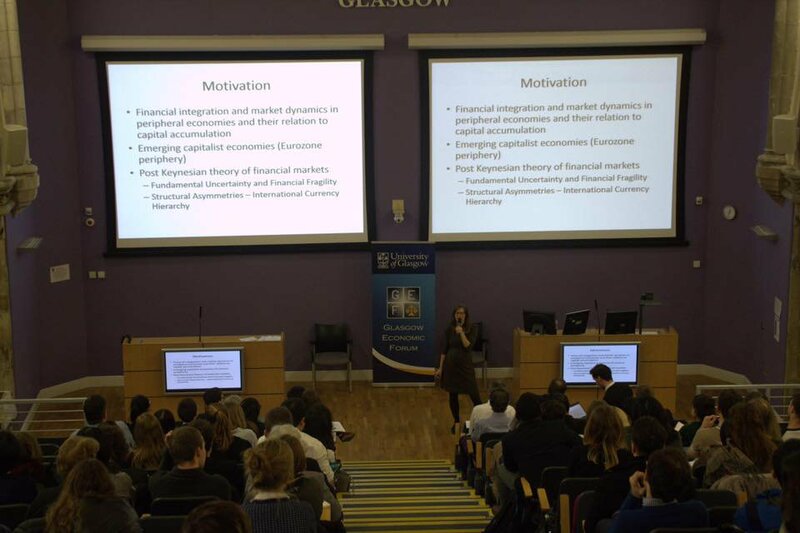 Danielle Guizzo and Sara Stevano represented Reteaching Economics at the first Festival for New Economic Thinking on 19-20 Oct 2017 in Edinburgh. Danielle and Sara ran a stall throughout the Festival and gave a presentation on the work of Reteaching Economics. You can download the slides here. 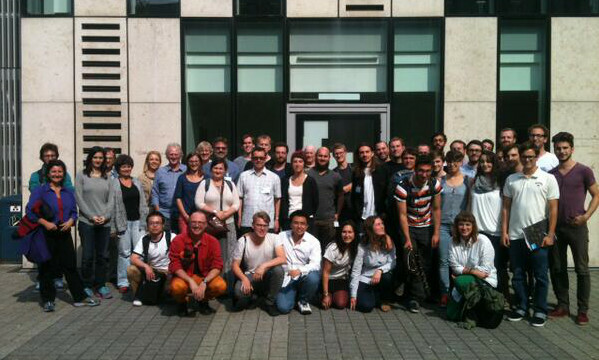 Lots of Reteachers were at the IIPPE Conference in Berlin in September. 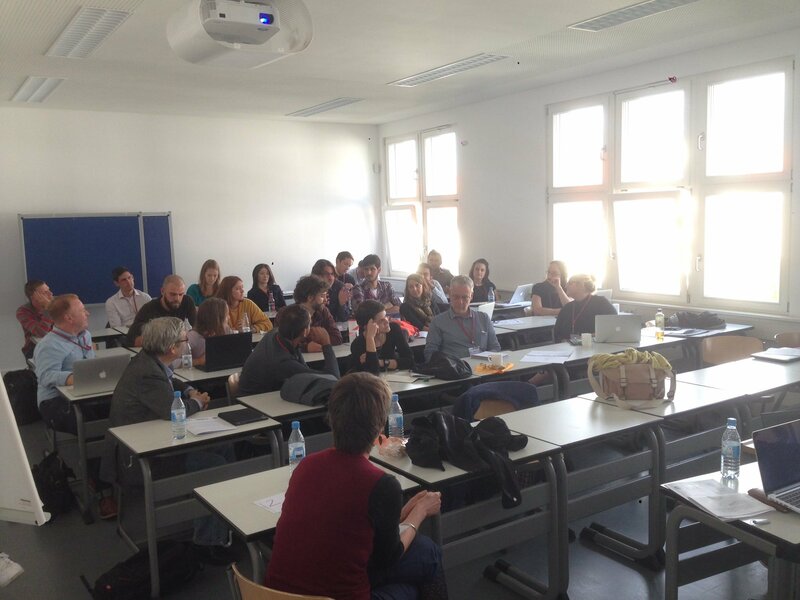 We organised a lively and well-attended special session on Teaching Political Economy. 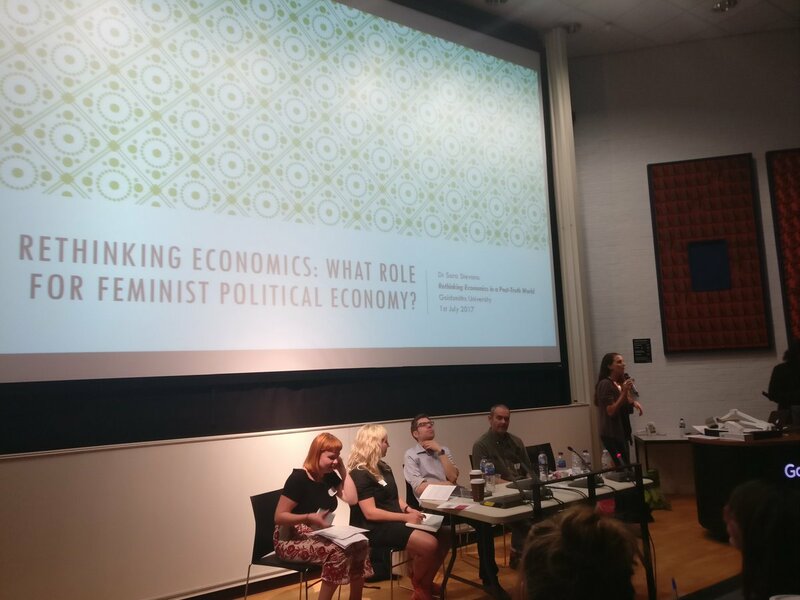 Reteachers Daniela Gabor and Sara Stevano took part in the 2017 Post Crash Economics Society Conference at Goldsmiths. 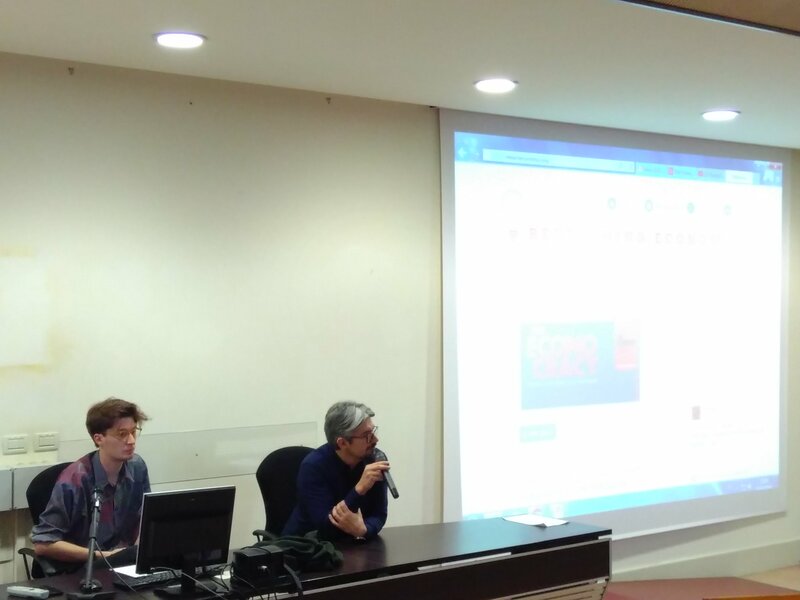 Antonio Andreoni and Marco Veronese Passarella from Reteaching Economics took part in the three-day Critical Economics Summit in Bologna, organised by students from Rethinking Economics. Read a write-up of the event by Ben Pringle here. 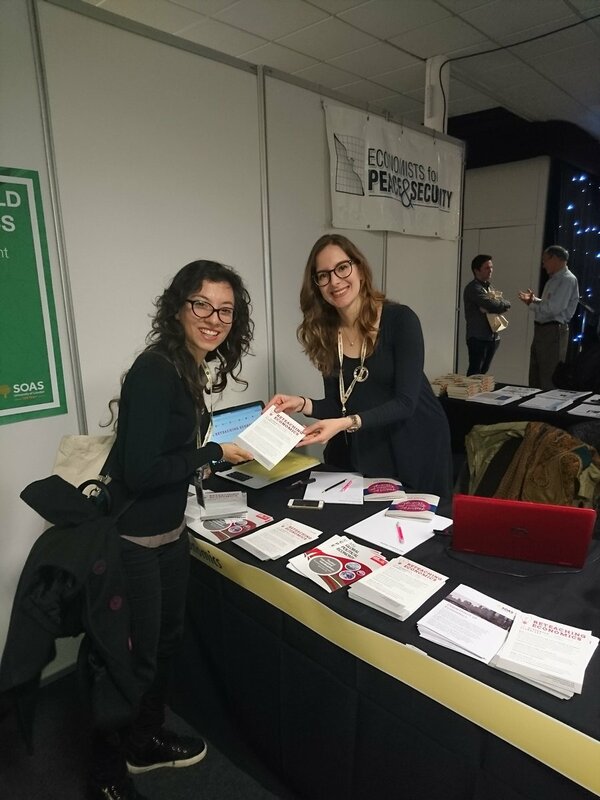 Reteaching Economics members Annina Kaltenbrunner and Elisa Van Waeyenberge took part in the student-organised Glasgow Economic Forum on 23 March. 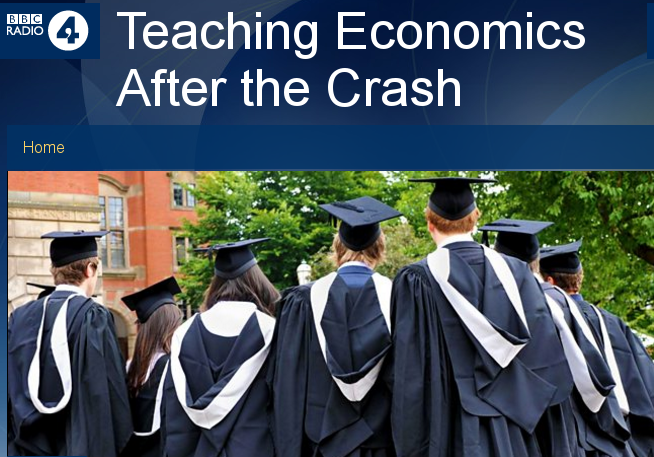 Several members of Reteaching Economics, including Devrim Yilmaz and Ourania Dimakou presented at the Post-Crash Economics Society Conference in Manchester on 18 March. 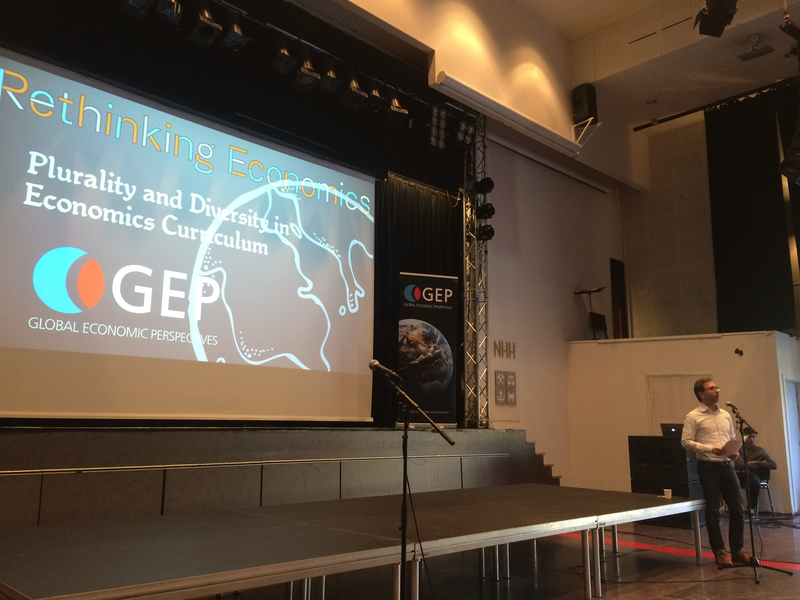 Jo Michell took part in the 'Plurality and Diversity in the Economic Curriculum' seminar in Bergen, organised by Rethinking Economics Norge. Rob Levy crunches the numbers on Reteaching Economics membership - read his article here. 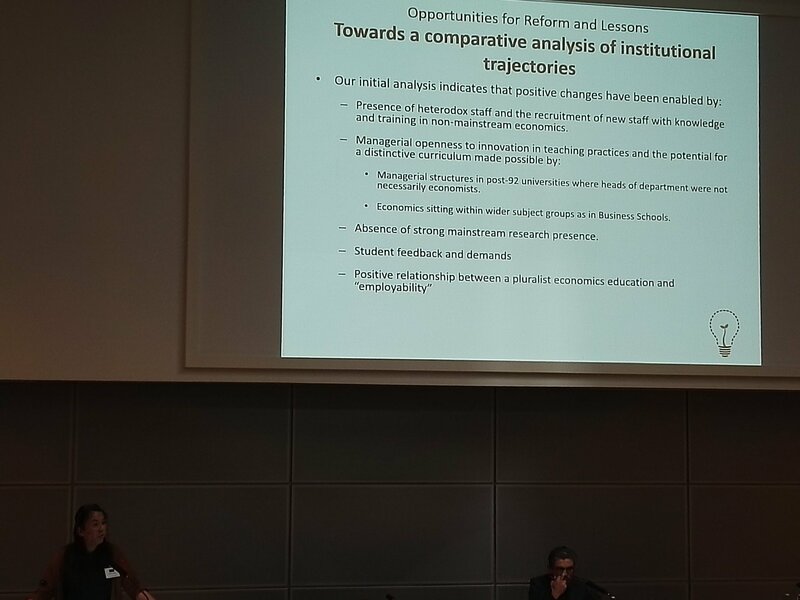 Susan Newman and Antonio Andreoni presented our working paper at the conference, 40 Years of the Cambridge Journal of Economics, on 13 July. Roundtable on Reteaching Economics at IIPPE Conference. 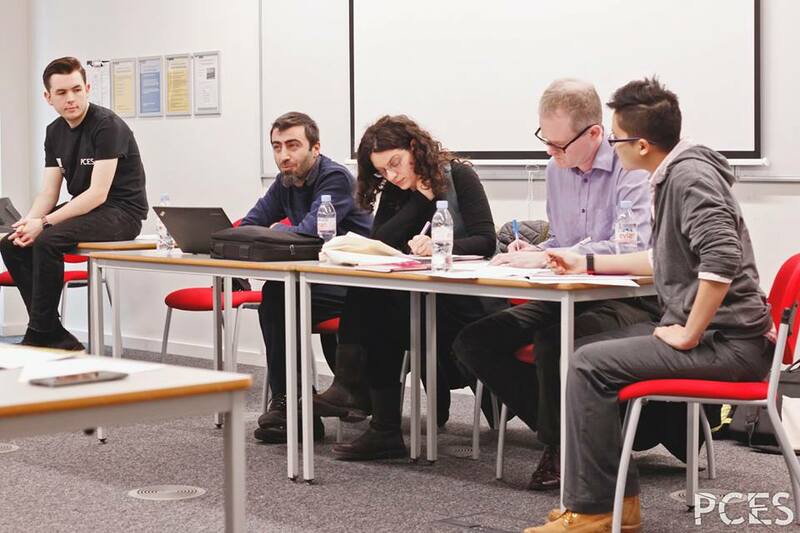 At the 2015 IIPPE Conference at Leeds Universiy, Reteaching Economics organised a roundtable discussion exploring challenges facing early career lecturers in economics who seek to promote pluralism. 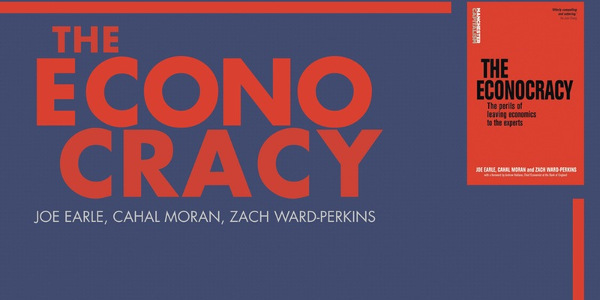 Reteaching Economics was officially launched with a private screening of Boom Bust Boom at SOAS University of London, on March 21st 2015, 4PM-7PM. Followed by Q&A with Reteaching Economics and the makers of the film.